An elegant three tiered Art Nouveau style wedding cake inspired by Charles Rennie Mackintosh. 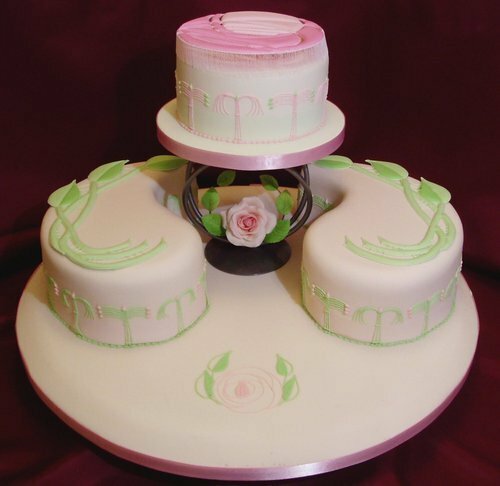 Two teardrop shaped cakes cradle a candlestick decorated with a delicate pink sugar Rose. On top of the candlestick sits the top tier decorated with a runout Mackintosh Rose floating on sugar strands. The sides complement the pink and green with airbrushed ribbons and distinctive piping.